Pamper your skin and hair naturally with a 100% Organic Hibiscus Powder that not only helps in maintaining a dirt-free scalp but also exfoliates your skin and face with its natural scrubbing and cleansing properties. Enriched with antioxidants this is an ideal natural solution to purify your skin and keep a healthy, nourished scalp naturally. 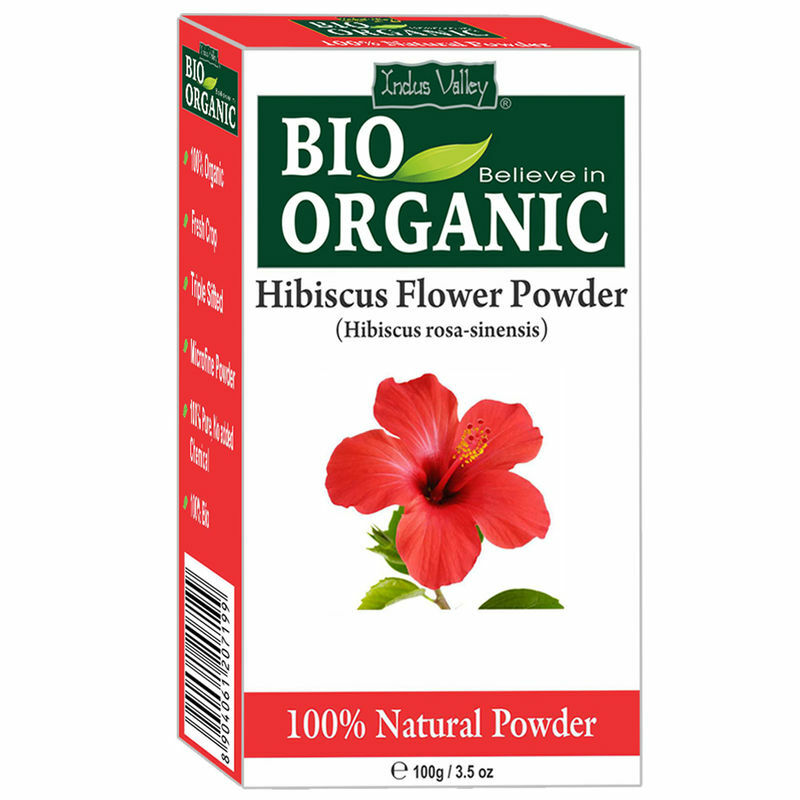 Pure microfine hibiscus powder made from shade-dried fresh hibiscus flowers. 100% Organic Powder without the addition of any preservatives or chemicals. The Triple-sifted process makes it a lump-free powder, easy to apply over face, skin and hair. Can be used for multiple purposes for face, skin and hair.